Jeanne Vergeront is a strategic and education planner with museums, libraries and community organizations. She has worked in and with museums for 25 years, most recently as Vice President of Exhibits and Education at Minnesota Children's Museum. She is interested in learning environments, translating theory into practice and the role of play in literacy development. I have an undergraduate degree in early childhood education and a masters degree in environmental design, focusing on children’s environments. My research was on adventure playgrounds in London. Watching children build and explore in those settings reinforced a growing sense that there were more potential settings for children than just conventional playgrounds and classrooms for preschoolers that were essentially miniaturized versions of college lecture halls and high school classrooms. After graduate school I worked in a teacher center in Madison WI which offered teacher driven professional development through workshops, kits, a recycle center, and publications. My interest in the human-environment dynamic led to an opportunity in 1979 to conduct a small study on how the design of teacher centers supported their missions. I studied 7 centers in the Midwest and East, including one in Boston where I also visited the Boston Children’s Museum. I hadn’t been to a children’s museum before. I was excited by the possibility of places for children that recognized and valued what children love to do, all the things they can do, and what they need to do. I also saw a children’s museum in Utica NY and one in Fairfield, CT. They gave me a sense of their variety and how local they could be. Heading back to Madison, I decided that my next project would be starting a children’s museum. And, in that serendipitous way things sometimes work, the day after I returned to Madison, I got a call. Three early childhood educators I knew had visited Minnesota Children’s Museum and agreed to start one in Madison; would I join them? While I think there can be easier ways to design environments for children than starting a children’s museum, I don’t think there can be a way that is more challenging or life changing. How can museums best involve their local communities? The community-museum dynamic is an incredible source of purpose and vitality for museums that also takes a lot of effort and direction to understand and manage well. It’s easy to develop an internal museum perspective; it’s a real challenge to integrate an internal, museum perspective with an external, community informed perspective and to sustain it. It’s relatively easy to offer many and smaller activities involving the community; it’s not so easy to think strategically and cultivate relationships, and be selective in choosing activities for the museum and community to engage in meaningful ways towards larger shared goals. A museum should set its community involvement in a larger context of what the community needs that the museum can do well. To be more deliberate about its community involvement, a museum can look at challenges the community faces and where they can make a difference. It can look at community engagement it already does well, and think about why it’s working and how it could be expanded. It’s often helpful to look at other organizations that are more accomplished in engaging their communities. Tell us a little bit about how your Children’s Museum background informs your current work? In the early years of Madison Children’s Museum, I had no clue that ideas we were grappling with would be central to many museums two decades later and would inform my work in 2010. One fundamental idea is that children’s museums are for someone rather than about something. Stephen Weill’s writings hit on the centrality of the audience and serve as a valuable reminder that museums exist to serve their audiences. Being for someone is a valuable perspective in thinking about and planning for people and taking into account how they see themselves, their interests, their capabilities, and their expectations of their museum experience - and much more. The immediacy of experience is another legacy from children’s museums. Children experience their world directly, through every sense, and all the time. This may be truer for younger children than for older children, but the value of direct experience never disappears. Children’s museums can’t rely on abstractions or text to get across ideas. I think this is a valuable discipline, one to be worked even harder than it typically is. How children explore and learn has been a useful nudge to understand learning very broadly. More of the museums I work with are breaking out of the assumption that learning is facts and skills and that learning is primarily cognitive. Increasingly, learning is viewed as also being social and physical. Learning stretches to include dispositions to learn, such as dispositions to ask questions or a disposition to read. I would also have to add play as something from my children’s museum background that informs my current work. Recent research has substantiated what early childhood educators have long known about the value of play. Now we can point to the relationship between play and executive function, between play and literacy, between play and social skills, between play and positive personal outlook for young children; and the benefits last beyond four years, and eight years. I wouldn’t know where to suggest that the benefits of play end - or even diminish. Finally, it has taken a while, but there has been a recognition that while children were the focus of children’s museums, it was also necessary to engage adults to meet goals. This links very directly to a focus on family learning that has emerged as being important in the social context in museums. This is a really good - and hard - question. Exhibition development as a recognized phase in exhibit planning is a relatively newer phase and not universally observed. It’s practiced differently in a science center, a children’s museum, natural history museum, historic sites and art museums. It’s a creative, complex, and elusive process. It’s less concrete than design so it’s sometime absorbed by its better-known sibling, exhibit design, and becomes invisible. Online or offline, my favorite exhibition development resources are developers themselves because that mindset is fascinating. Some of the skills are readily recognizable, like keen observation, research, and asking questions. Developers also visualize and interpret experience. They not only take the perspective of the visitor, or learner, but they sometimes “channel” the people an exhibit experience is intended to engage. They’re comfortable with process, whether it’s rigorous or squishy. I asked a few exhibit developers what their resources were. ExhibitFiles (http://www.exhibitfiles.org) came up: The reviews and case studies are often, if not usually, written by exhibit developers and expose an exhibit developer’s perspective. What advice would you have for fellow museum professionals, especially those from smaller museums, in setting realistic long-term goals? • Make planning a core practice in your museum. Smaller museums feel stretched, I think, in finding time to plan. But good habits, and planning is a good habit, pay off. • Revisit your mission regularly. Make sure it’s local and specific and that the board agrees on what it says the museum should be doing and, conversely, should not doing. It’s more difficult to set long-term goals when a mission is too broad or vaguely relevant to a museum and its community. • Learn about and get to know 3-5 museums that are comparable to yours in scope and size - budget, attendance, and facility, and community size. You might research a museum that is a bit larger or has an expertise in an area important to your mission. Look at their long-term goals to inform your goals. • Identify areas in particular where your museum needs to be strong or areas of growth and change. Three areas are what I call areas of enduring focus: they are always important even though your understanding of them evolves. One area is audience. Typically, the goal is about more visitors. But just as important as more is the right kind of visitors. Who are the right kinds of visitors? What does more of the right visitors mean for your museum? Another area is product, either exhibits, programs, learning experiences and environments. A goal might be related to a consistent quality, a stronger experience, or varied offerings; or perhaps exhibits and programs better targeted to the audience. A third area is resources, financial, human resources, expertise, or facility. This goal is often about more or diversified resources or growing a particular type of resource. These may not be the right goals for every museum and there may need to be 4 or 5 goals. But thinking about these areas can give an assist in setting goals that are at the right scale for where you are now and want to be. If it’s any consolation, every museum struggles with setting realistic goals that are calibrated to their organizational capacity. I like museums and exhibits that surprise me, that offer something unexpected. I think that’s one reason that the City Museum stands out for me and for others as well. I like museums and exhibits that have a strong sense of place and couldn’t be anywhere else. The Mill City Museum (Minneapolis, MN) is in a burned out flour mill on the Mississippi riverfront in the old milling district. I love the sense of place that the outdoor Exploratorium exhibits at Fort Mason have, focusing on the light, water, and sound at precisely that place. The particular story of water and rock comes through at the Columbia Gorge Discovery Museum (Astoria, OR). In the city museum in Leeuwarden (The Netherlands) you go downstairs and walk through a hallway as if you were walking under a canal; overhead is the underside of a boat and a calf’s snout drinking at the edge of the canal. More and more I like exhibits that don’t seem exhibits, but may seem more like a hardware store, or feel like an amazing natural occurrence, or a work in progress. 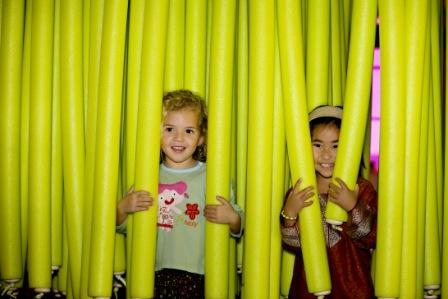 The Noodle Forest at the Children’s Museum of Phoenix is made from hundreds of swimming noodles. A giant section of Sequoia at the Bay Area Discovery Museum stands 8 feet tall on its side; children can look and crawl through. The outdoor area at the Santa Fe Children’s Museum seems like it’s constantly being re-invented and reshaped. This is not a good match for every topic, audience, and museum, but it’s a worthy approach to consider and to have to argue against. I’ve been working with The Family Museum (Bettendorf, IA) as they rethink their exhibits through a perspective of the experience they want visitors to have. Following - and sustaining - an experiential approach is different than an exhibit-centered approach. An experiential approach concentrates on first-person engagement, a powerful connection to what is personal and local, and the flow between activities. The museum’s planning group is arriving at some productive concepts like fenced in freedom, context as content, and connected play experiences. Approaching this through experience places design in a role of affording particular experiences. I wish I could fast forward and see how this plays out. There will be some real, and worthwhile, challenges along the way. I’m involved in an informal group of museum colleagues from Twin Cities museums that has been working collaboratively to find ways to strengthen their mission-related services to new and existing audiences. We’re interested in a couple of things. One is to consolidate and build on audience research and local audience data. Another is to explore the public value of museums from a perspective that is local, informed by community and museums. Probably the heart of the project is a study of the identity, engagement goals and ways that museums matter to museum goers, traditionally non-museum going residents, and youth. Twin Cities Museums will be able to use the information to pilot strategies to increase participation and sustain engagement of more diverse audiences including younger audiences. And we want to learn to work collaboratively long term. I might rephrase the question as “if time were no object…” even though time-and-money are intertwined. When museums embark on long-range planning, and I would include long-term exhibit change here, the greatest challenge is finding enough time for the right people to be together at one stretch as well as over a significant span of time. This is what’s needed for staff - and hopefully board - to observe and talk with visitors who are engaged in the museum’s exhibits; to read about and share ideas that challenge and extend thinking about experience and exhibits; to gather, synthesize and interpret a museum’s own studies and reports; to enjoy lively, extended discussions about powerful ideas; and to be able to work the most important of those ideas really hard, to adapt and internalize them. This kind of time is critical for exploring what has lasting value for more visitors in exhibits. If this kind of time were available, rethinking a museum’s exhibits in a new and remarkable way would be absolutely wonderful. Actually working with a museum to rethink its exhibits, or a single exhibit, in a new remarkable way, would be a real treat. There are, undoubtedly, multiple “next frontiers” for museums and, for sure we’ll be surprised when we approach and navigate this new territory. Some frontiers, I imagine, will be more relevant at the community level, others at the organizational level and some will be visitor oriented. Museums are recognizing that they have public value, that they contribute something the community needs that is not readily available. They’re becoming more practiced at describing their benefit and are finding more meaningful measures to describe their impact. This community-museum connection will evolve and strengthen. We’ll see a shift from viewing and measuring success as primarily institutional health to community vitality. As they do recognize more ways their organizational health is tied to community health, museums will become more accomplished and nimble at targeting their impact in high need areas. At another level, I think that more museums will see that they have the capacity and opportunity to generate knowledge and will be greater contributors to knowledge and culture in more areas. This might be through growing partnerships with colleges and universities. But it will also come from museums conducting their own research, documenting their work, and assessing their impacts in areas that are salient to their public value, to community issues, and to their audience and then informing their work and that of the field. I think it’s safe to assume we’ll see some shifting boundaries in the learning territory that museums occupy. At a larger scale, museums will assume expanded roles in educating members of their community across the life-span. Some shifts seem especially likely where informal learning and formal learning meet and interact. More museums are operating schools and that number will grow. I know of about a dozen science museums and centers and children’s museums that operate preschools; some have been doing so for 40 years. There are also museums that operate elementary schools and are involved in museum magnet schools. At a smaller scale, I would say a new frontier is how users will customize their museum experience across multiple platforms in ways that are truly specific and relevant to museums and not clumsily adapted from other contexts and enterprises. I think discussion in this area is lively while implementation is occurring more slowly and early results are just coming into focus. Stay tuned! 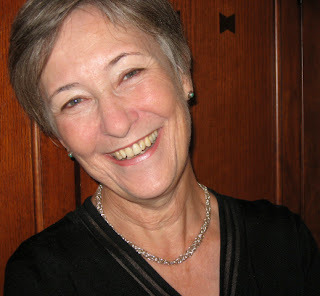 Thanks again to Jeanne for her insights! Check out her website for more information about her work.